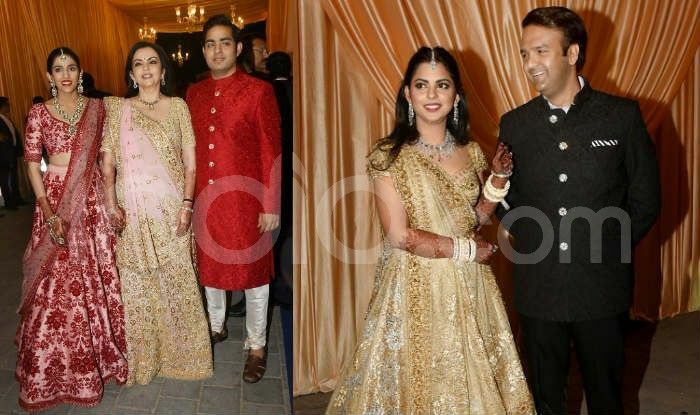 Industrialist Mukesh Ambani‘s daughter, Isha Ambani got hitched with Anand Piramal in a star-studded wedding ceremony on December 12. The couple has hosted their second wedding reception today, on December 14, in Mumbai. 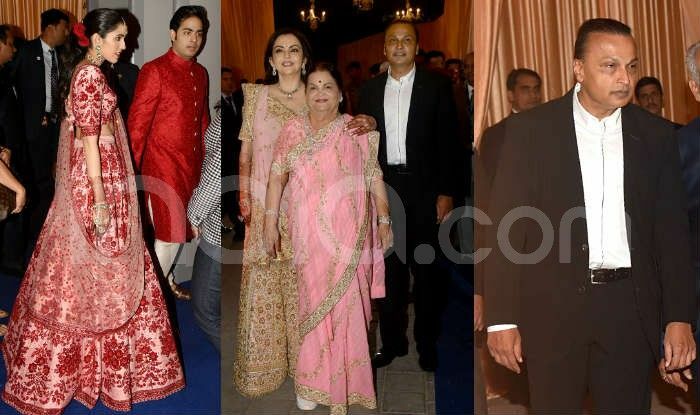 The first pictures from the event are out and one can see Ambanis making a stunning appearance at the bash. Dressed in a golden lehenga and some beautiful diamond jewellery, Isha looks dazzling as the new bride. 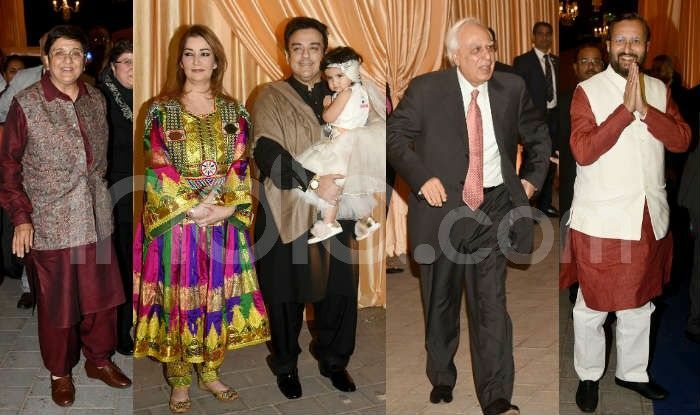 Complimenting her is the groom, looking dapper in a black sherwani. 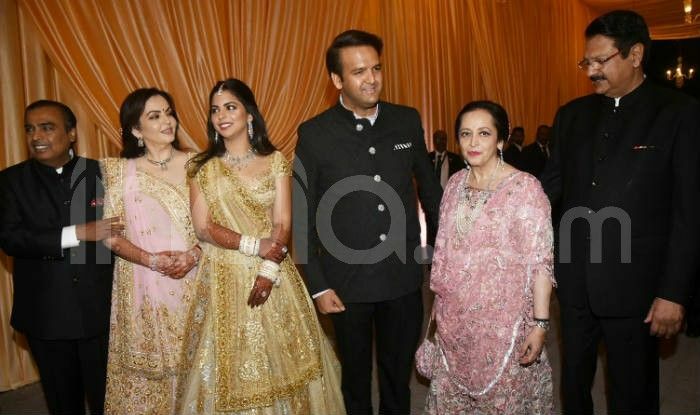 Isha and Piramal’s wedding was one grand affair. The pre-wedding festivities of the couple were organised in Udaipur where the film industry’s who’s who turned up to participate in the celebrations. For the Sangeet ceremony of the couple, international pop star Beyonce Knowles performed on the grand stage, while former US President Hillary Clinton was one of the important guests at the wedding. 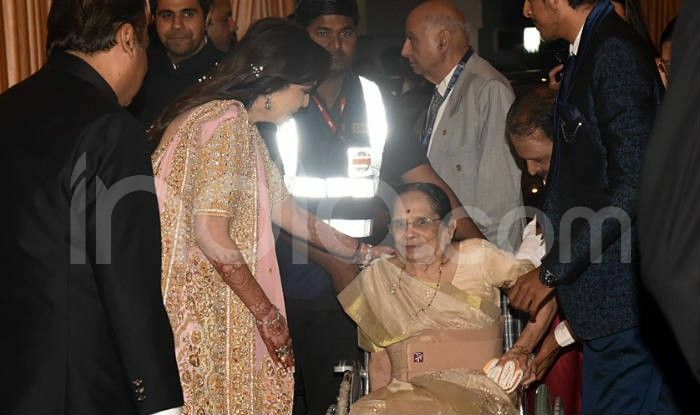 Gracing the bash were celebs like Amitabh Bachchan, Aamir Khan, Shah Rukh Khan, Alia Bhatt, Shilpa Shetty, Ranveer Singh, Deepika Padukone, Priyanka Chopra and Nick Jonas among others. 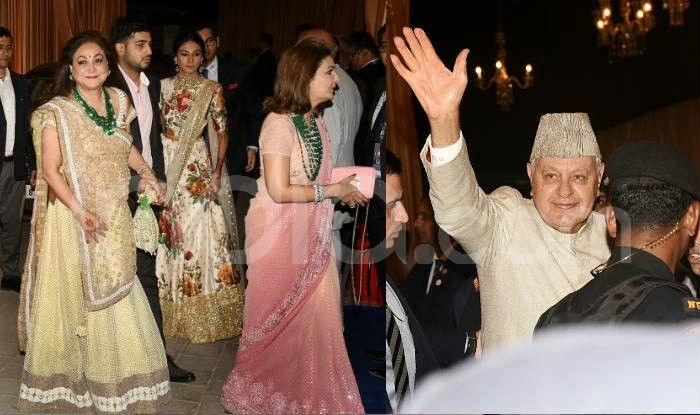 At their first wedding reception, which was hosted yesterday, on December 13, 13, industrialist Ratan Tata, cricket legends Sunil Gavaskar, Kapil Dev among others arrived to wish the newlyweds. Isha and Piramal met each other at Ivy League and remained friends ever since. Their families also share a good bond. Earlier this year, Anand proposed Isha for marriage in Mahabaleshwar in Maharashtra. The duo got engaged in May this year post which the Ambanis threw a lavish bash to celebrate their engagement. 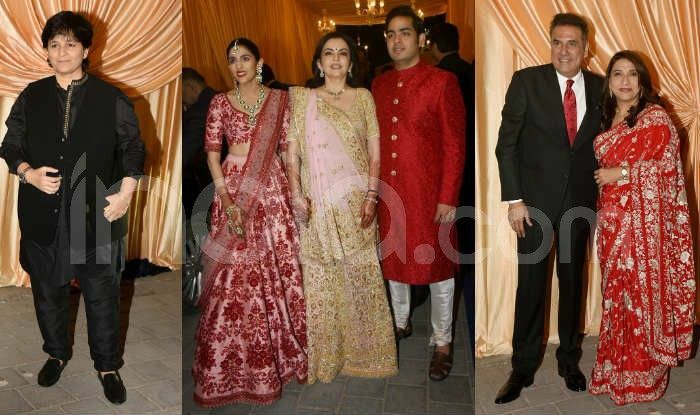 Meanwhile, Isha’s brother, Akash Ambani is also set to te the knot with fiancee Shloka Mehta. The duo will reportedly be getting hitched next year.